Thierry Arensma is a French photographer based in Paris. 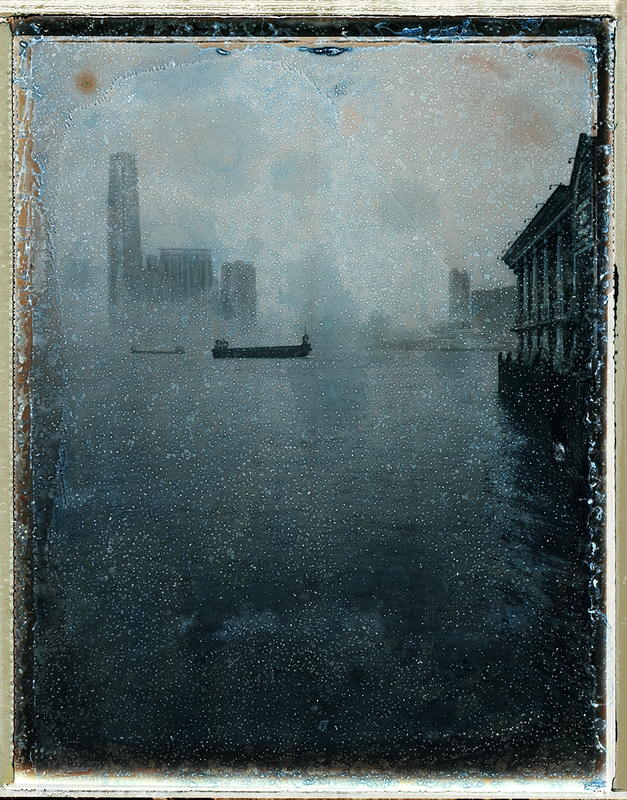 During a voyage in Hong Kong in 2010, Arensma created an out-of-ordinary vision of the megalopolis. “At first sight; these photographs could be mistaken for enlargements of old photographs, quaint snapshots stumbled upon in Cat Street perhaps. We soon realise, however, that there are in fact recent pictures: different types of modern architecture; skyscrapers, given a ‘vintage’ photographic aspect,” explains the critic and curator Marie Deparis-Yafil.